FORT LAUDERDALE, Fla. - Anyone headed to the Tortuga Music Festival on Fort Lauderdale Beach later this month can get there and back along the water. 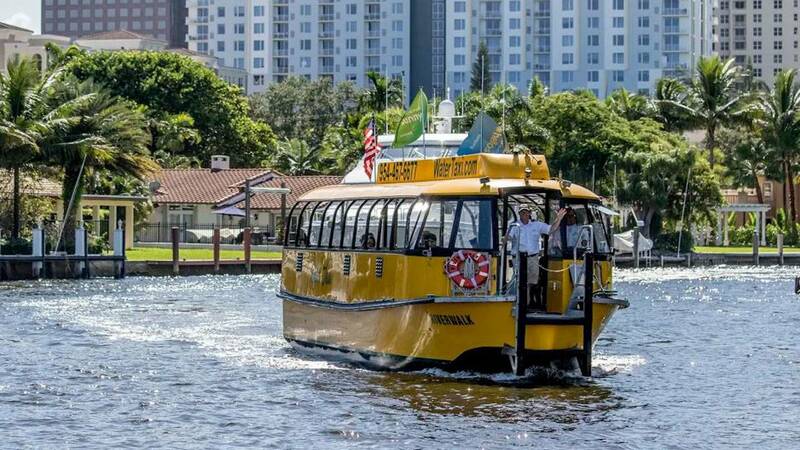 The Water Taxi of Fort Lauderdale is offering a special service to concertgoers during the three-day music festival that starts April 12. Water Taxi ticket prices are currently $12 for a one-day pass or $30 for three days, but those prices will increase Sunday. Boats dedicated to the Tortuga Music Festival will run from 11 a.m. to 11 p.m. all three days. Pickup locations will be the Riverside Hotel on Las Olas Boulevard, Hilton Marina on the 17th Street Causeway and the GALLERYOne Doubletree by Hilton on Sunrise Boulevard. The drop-off location is at the International Swimming Hall of Fame. Beginning Sunday, Water Taxi ticket prices will increase to $15 for a one-day pass or $40 for three days. Riders are not allowed to bring alcohol on the Water Taxi, but drinks will be available for purchase on each boat. Click here to purchase tickets before the prices increase.